Ariel Bolivar (Agrazal) Jurado…signed by Rangers scout Eduardo Thomas…has attended Rangers winter minicamp in Arlington each of the last three offseasons. Made his MLB debut in May and spent the final 2 months of the season in the club's rotation, going 5-5, 5.93 (36 ER/54.2 IP) over 2 stints with TEX (5/19 and 7/28-end of season)…ranked T4th among Rangers with 5 wins, including team-best 3 wins in Sept…had nearly as many BB (18) as SO (22)…was 3-4, 5.71 (26 ER/41.0 IP) in 8 GS and 2-1, 6.59 (10 ER/13.2 IP) in 4 relief outings…his 4 relief appearances spanned 4 consecutive outings from 9/3-21, all situations where the Rangers utilized an "opener" to start the game before Jurado entered…opponents batted .297/.350/.459/.809 (66-222), 9thhighest opponent average among A.L. pitchers with at least 50.0 IP…20 of 66 hits allowed were XBH (11 2B, 2 3B, 7 HR)…his 52.5 GB pct. was best among any TEX starting pitcher in 2018 (Fister-51.3%). Posted career highs in starts (27), innings (157.0) while leading Frisco in both categories…also posted a careerhigh ERA figure (4.59) and was charged with a career-high 11 losses after entering season with 8 career losses over 4 pro seasons…his 157.0 innings ranked 2nd in the Texas League, while his 0.92 HR/9 rate ranked 3rd among league qualifiers… posted a 6.41 ERA (19 ER/26.2 IP) over 1st 5 starts before going 5-0, 1.86 (8 ER/38.2 IP) over 6 starts in May to lower ERA to a season-best 3.72…competed for the South Division in the Texas League All-Star Game in Frisco on 6/27 and earned the win after tossing one scoreless inning in relief…went 2-6 with a 5.08 ERA (41 ER/72.2 IP) in 12 starts after the All-Star break…posted 3 straight quality starts to close the season, going 1-0 with a 1.45 ERA (3 ER/18.2 IP)…allowed a career-high 16 home runs, but posted 0.43 HR/9 rate (2 HR/41.2 IP) over final 7 starts… opponents batted .302 (188-622) overall, including .278 (108-388) by right-handed batters and .342 (80-234) by lefties. Reached Double-A at age 20, going 8-6 with a 3.66 ERA (50 ER/123.0 IP) and 106 strikeouts over 24 games/22 starts with High-A High Desert and Double-A Frisco… opponents batted .268 (129-481), including .241 (51-212) by left-handed hitters…permitted zero-or-one run in 7 of 16 starts with High Desert…his 2.53 GO/AO rate was 3rd-highest in the CAL League through 7/21…promoted to Frisco on 7/22 and was the 3rd-youngest player in the Texas League at the time of his 1st start…completed at least 5.0 innings in all 8 outings, allowing 2-or-fewer runs 6 times…started one game for Panama in the WBC qualifier on 3/20 vs. Columbia, recording 4 strikeouts over 2.1 scoreless innings. Chosen as the organization's Nolan Ryan Minor League Pitcher of the Year…named a Baseball America Low Class A All-Star and South Atlantic League Midseason All-Star…tabbed the 11th-best prospect in the SAL by Baseball America…led all Texas farmhands in victories… opened season in the Hickory rotation and went 9-0, 2.07 (14 ER/61.0 IP) over 11 games/10 starts prior to the All-Star break…had the 4th-highest GO/AO (3.20) through the first half…named SAL Pitcher of the Month for May, going 3-0, 1.24 (4 ER/29.0 IP) in 5 starts…was chosen as the starter for the Northern Division in the SAL All-Star Game…spent bulk of the 2nd half in the Crawdads bullpen, going 3-1, 3.08 (13 ER/38.0 IP) over 11 games/5 starts. Compiled a 1.63 ERA (7 ER/38.2 IP) over 14 games/3 starts in stateside debut. Started 9 games for the DSL Rangers in his first professional season. 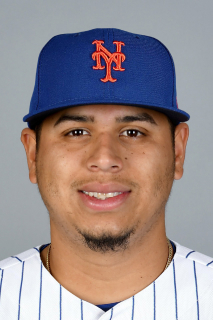 March 20, 2019 Texas Rangers optioned RHP Ariel Jurado to Nashville Sounds. July 28, 2018 Texas Rangers recalled RHP Ariel Jurado from Frisco RoughRiders. May 22, 2018 RHP Ariel Jurado assigned to Frisco RoughRiders from Round Rock Express. May 20, 2018 Texas Rangers optioned RHP Ariel Jurado to Round Rock Express. May 19, 2018 Texas Rangers recalled Ariel Jurado from Frisco RoughRiders. April 17, 2018 Frisco RoughRiders activated RHP Ariel Jurado from the 7-day disabled list. April 9, 2018 Frisco RoughRiders placed RHP Ariel Jurado on the 7-day disabled list. March 9, 2018 Texas Rangers optioned RHP Ariel Jurado to Frisco RoughRiders. November 20, 2017 Texas Rangers selected the contract of Ariel Jurado from Frisco RoughRiders. May 15, 2017 Frisco RoughRiders activated RHP Ariel Jurado from the temporarily inactive list. May 11, 2017 Frisco RoughRiders placed RHP Ariel Jurado on the temporarily inactive list. January 24, 2017 Texas Rangers invited non-roster RHP Ariel Jurado to spring training. October 6, 2016 RHP Ariel Jurado assigned to Navegantes del Magallanes. July 22, 2016 RHP Ariel Jurado assigned to Frisco RoughRiders from High Desert Mavericks. March 29, 2016 RHP Ariel Jurado assigned to High Desert Mavericks from Hickory Crawdads. April 1, 2015 RHP Ariel Jurado assigned to Hickory Crawdads from Spokane Indians. September 2, 2014 RHP Ariel Jurado assigned to Spokane Indians from AZL Rangers. June 25, 2014 RHP Ariel Jurado assigned to AZL Rangers. December 14, 2012 Texas Rangers signed free agent RHP Ariel Jurado to a minor league contract.